See Montana the way Lewis and Clark did – that is, if Lewis and Clark ended their days of exploration with gourmet meals, king-sized beds and a personal camping butler. The Resort at Paws Up delivers first-class adventure and total luxury in a wilderness sanctuary like no other. It’s Big Sky Country, VIP-style. 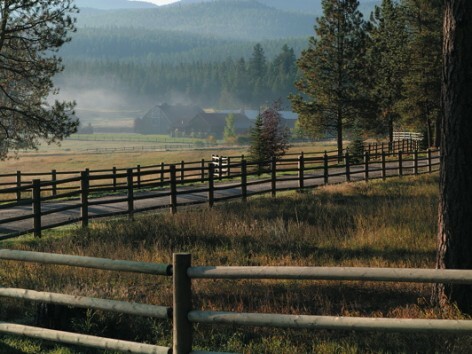 Just 35 minutes from Missoula International Airport, the Resort at Paws Up is nestled amid some of the world’s most breathtaking countryside, largely unchanged since Lewis and Clark walked here 200 years ago. Accommodations include 28 luxury vacation homes and 18 impeccably appointed luxury camping tents. The elegantly rustic homes range in style, but all are spacious, secluded and filled with every convenience. If you’d rather sleep under the 5 stars, go “glamping” at the edge of the Blackfoot river, with your own butler to attend your needs – or take a 3-day equestrian tour to The Encampment at Bull Creek, a luxury wilderness camp in the Montana backcountry. Blessed with spectacular rivers and lakes and the majestic Rocky Mountains, Montana is the ultimate outdoor playground – and there are enough activities available at The Resort at Paws Up to fill up even the longest summer days. Go for a rafting expedition on the Blackfoot River, or take the Resort’s 19-foot Bayliner out on Seeley Lake. Cast your fly on some of Montana’s most pristine and acclaimed rivers, explore the backcountry on a private, professionally-led horseback riding trip, or boost your adrenaline on a mountain bike ride. In the wintertime, take to the snow-covered hills for a day of cross-country skiing, snowmobiling, ice skating or dog sledding – or bundle up for an old-fashioned sleigh ride. When you’ve made the most of the day’s opportunities for adventure, return for a 5-star meal at Pomp, or an authentic chuck wagon BBQ. If you’re here with your significant other, there are few places more romantic. If you’re here with your family, there are few places more ideal. The Resort at Paws Up accommodates families of all sizes, including large, multi-generational groups, and their dedicated kids camp, the "Kids Corps of Discovery" offers full and half-day programs for children ages 5-12. 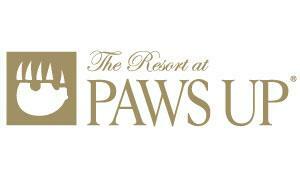 From luxurious surroundings and top-notch service to an array of activities limited only by your imagination, the eco-friendly, pet-friendly, family-friendly Resort at Paws Up provides a wilderness escape no other Montana hotel or resort can match.